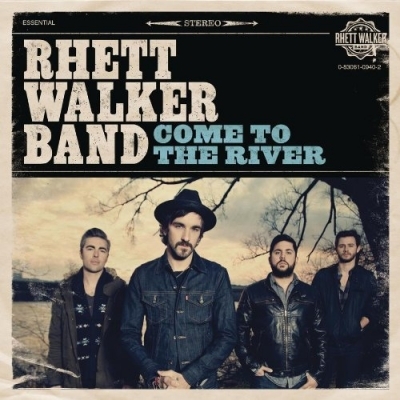 Let me introduce you to Rhett Walker Band and their album Come To The River. Not knowing much about the band beforehand, from first listen of the album, this band certainly has much promise. With a distorted guitar sweeping across the opening track Gonna Be Alright, the album begins with some gutsy rock intent. The vocals spring into action and this is what hits you straight away. Rhett doesn't have the obvious clean cut American Christian band's singer tone, instead there is a mid country tone to his voice and this in itself was refreshing to my ear drums. Read More Let me introduce you to Rhett Walker Band and their album Come To The River. Not knowing much about the band beforehand, from first listen of the album, this band certainly has much promise. Personally, I like what I hear on this album. For me the opening song was over too quickly and I had to push the play button again. I don't think the song was necessarily short, I just enjoyed it that much. I thought the album might keep going with that Southern American rock tone, yet to my surprise it jumped into the slower modern folk sound of Come To The River, which as the song progresses leans more on the pop side of the folk musical wave. Make Me New sees the band pick up heavier distorted guitars. I have to admit the chorus has a Bon Jovi feel to it with band singing "Ohhh now's the time to stand up and feel alive". It seems like the band are jumping around with a few styles during the album, and they also do this during the track When Mercy Found Me which is your traditional modern power ballad. Still a good song, but maybe a song we have heard done in a similar way by plenty of other rock bands. I love the vocals during Get Up Get Out, it's different to anything else on the album, if a little bit darker than I think the band want to sound. But with some lovely guitar work that has real attitude to it, this is country rock how it's meant to be heard. The lyrics are about standing up and getting on with God's work and not just sitting around getting in the way, as we have jobs to do for God's kingdom. In the press release for this album it says that Rhett is an "outspoken 25-year-old son of a preacher... is not like any rising Christian musician you have met before". I suppose this comes out during his lyrics and style. You can tell that Rhett will create music his way and say what he wants to say. This can be refreshing to hear but also makes listening to the songs an unsettling experience. Yet isn't being uncomfortable sometimes an inspiring thing? This album has turned me into a fan of Rhett Walker's work. Maybe for me the album jumps in styles a little too much, but the songs make up for it in so many ways.